It’s almost that time of year when your exterior holiday decorations come out of storage and into action. This is the time of year when malls are busy, Christmas music is heard everywhere, and homes are decorated from top to bottom. 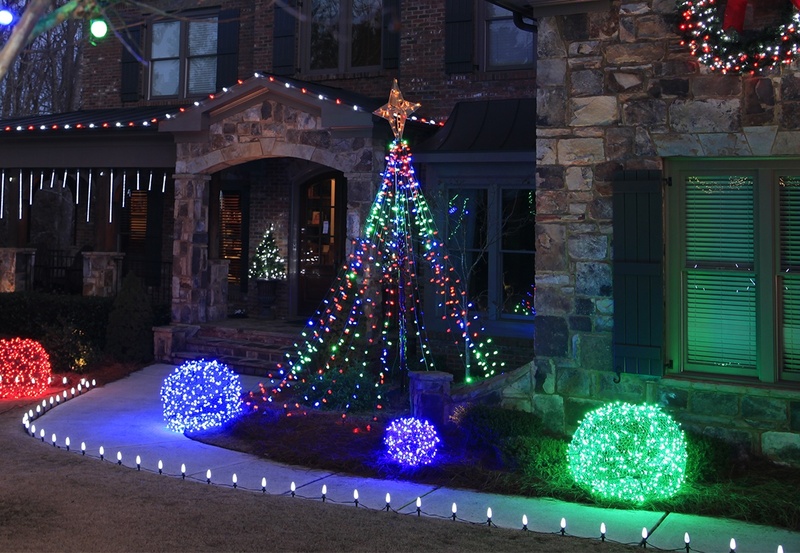 A big part of decorating for the holidays includes the festive yards with sparkling lights that draw so much attention during this season. Your home’s exterior is a blank canvas, and the artistic potential during the holidays is unlimited. However, before you start, ensure that your yard is in shape for the exterior holiday decorations. It’s lucky for you that there are landscape services that provide the help you need to get your lawn ready. We suggest the services of DC commercial snow removal and holiday lighting installation. Once your yard is prepared it’s time to start your exterior holiday design. Here are some ideas we’ve curated for your inspiration. If you have a Christmas tree or other trees in your yard, it is a festive touch. To really amp up the holiday spirit, instead of the traditional evergreen trees, why not build your trees out of lights? With a basketball pole (or something similar), light stakes, a tree topper, gutter hooks, and C7 light strings, you will soon have your own front yard tree. Be sure to use the twinkle lights to make your tree come to life. Place animal light statues next to your handmade trees and your natural bushes to bring a whimsical feel to your decorations. You can buy a couple of deer and have them graze out front or buy a whole team to pull Santa’s sleigh. Deer are the most commonly sold LED and warm incandescent animals. However, there are many different animal light statutes available this time of year for your exterior holiday decorations. To make your decorations warm and inviting, you line the path to your front door with lights. You can purchase stakes that are lights themselves or ones that hold string lights. However, take your local weather into account because you will purchase taller stakes if your area gets snow or shorter ones if your area is without snow. The possibilities for your lighting options are endless. You can choose differently shaped bulbs and varying colors to suit your winter decor. Adding pre-lit garland to your gates and fences can really bring your decorations together. When decorating your fences, you want to make sure that you’re using long lengths of garland so there’s plenty of room to drape them between each post. 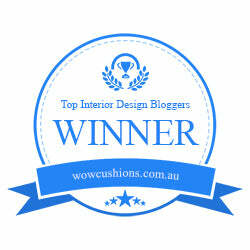 Adding a certain color ribbon or some other complementary decor can help you coordinate your whole design. You can add matching wreaths to your doors, posts, or windows. Add complimentary ribbons to your animals, trees, and other outdoor decors for even more cohesiveness. If hanging garland isn’t your thing then perhaps putting icicles lights on your eaves will trigger your holiday spirit. Icicles lights add a special touch to your exterior holiday decorations and create a striking effect across your house. 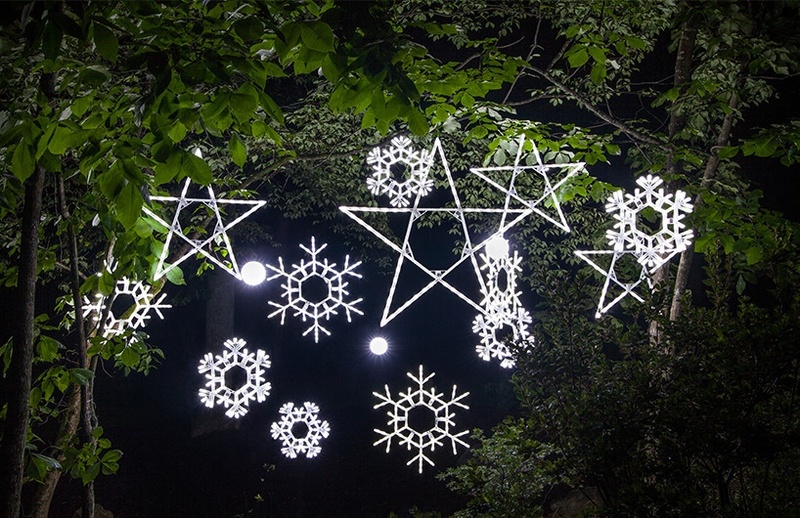 Another decorative idea is to hang stars or snowflakes from the trees or bushes outside your home. Stars bring the night sky closer to your home while they help make the exterior of your home feel magical. Also, add twinkle lighting to your snowflakes to emulate falling snow if your region lacks this traditional holiday element. Make all your trees feel like your Christmas tree by adding color changing lights to them. Then, watch the colorful light show as your trees change from one color to the other. With these examples, we hope you’ve found inspiration for your own delightful outdoor Christmas display at your home this holiday season.